Support local? 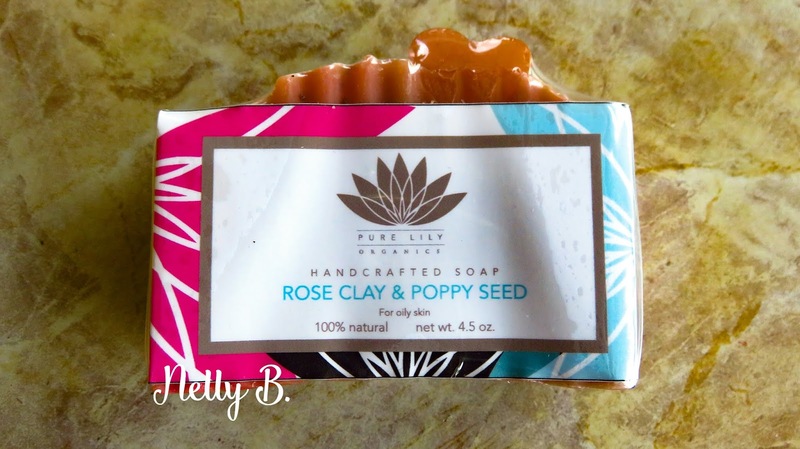 A Pure Lily Organics product review - A day in the life of Nelly B. 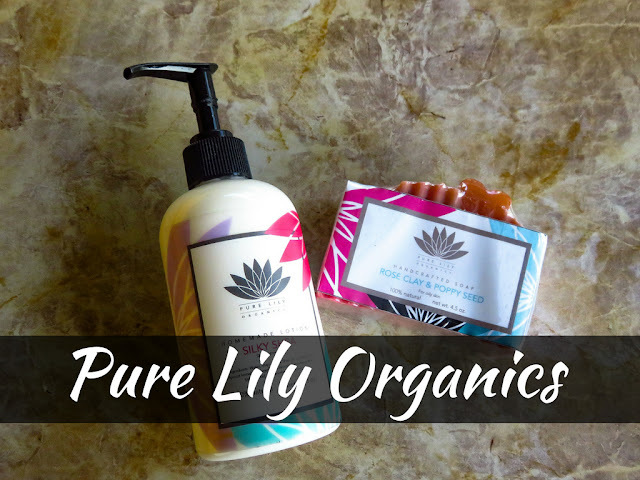 My search for locally made beauty goodies led me to the Pure Lily Organics Instagram account. Off the bat, I loved her aesthetic. From her labelling, to her social media branding, her products are easily identifiable and online imagery definitely keeps in line with the brand name. I was excited to try to out her products, and after reaching out to her, I received the Lotion and Rose Clay & Poppy Seed soap. - The scent: It has a cherry/flowery scent that though not powerful, still smells amazing on your skin after you use it. - The poppy seeds!!!! If you're looking for a soap that also exfoliates the skin? Then this is it. 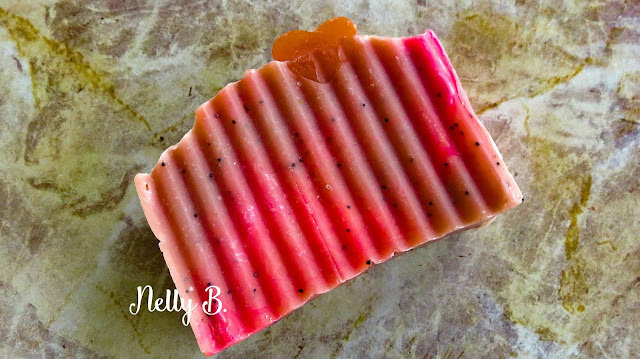 Poppy seeds as an exfoliant can reduce ingrown hairs before shaving. They're also high in antioxidants like Vitamin E and A, and these can provide key moisture and a anti-aging boost to skin. Added moisture to my skin? Here for it!! So after my shower, the next step is to moisturise. This is where the Silky Shea lotion came into play. Now although they advertise this product as a lotion, I somewhat beg to differ. To me, it is a cross between a lotion and butter. It is thicker than a regular lotion, and spreads easily on to the skin. One thing to note though, is that this lotion needs to be worked into the skin, which takes some time to do. However! Once it is properly applied, it works its magic. Usually, when I use commercial creams, I have to reapply (specifically to my ankle area) by lunchtime, well, because no one like ashy ankles. However, by the end of my work day, there were no signs of any ashiness. On other occasions, I was out from early morning, till late in the night (we're talking about being out for 12-14), hours and there were still no visible signs of skin looking ashy. 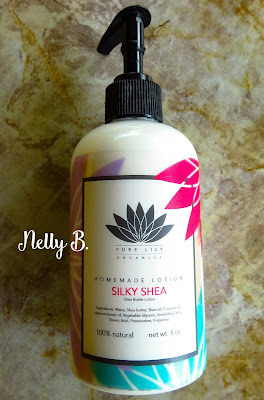 As for the scent, the Silky Shea Lotion, according to my sense of smell.. has hints of vanilla and baby powder (my sniffer could be wrong, but that's how it smells to me lol). The scent is strong, so for persons who like milder scents, this ain't for you. HOWEVER!!! They just released six new scents to their line up, so I'm sure that you could find a scent to suit your mood or your style. Overall? These are a must a try! I'm already contemplating what next scent I want to get. In their IG bio, they described their brand as natural luxury artisan skin care products, and they definitely live up to that. To get more info on their product offerings, you can check out their Instagram and their Facebook. I'm putting out my disclaimer up front that I am not responsible for you spending all your money on their products. But you guys blame me anyway lol!! 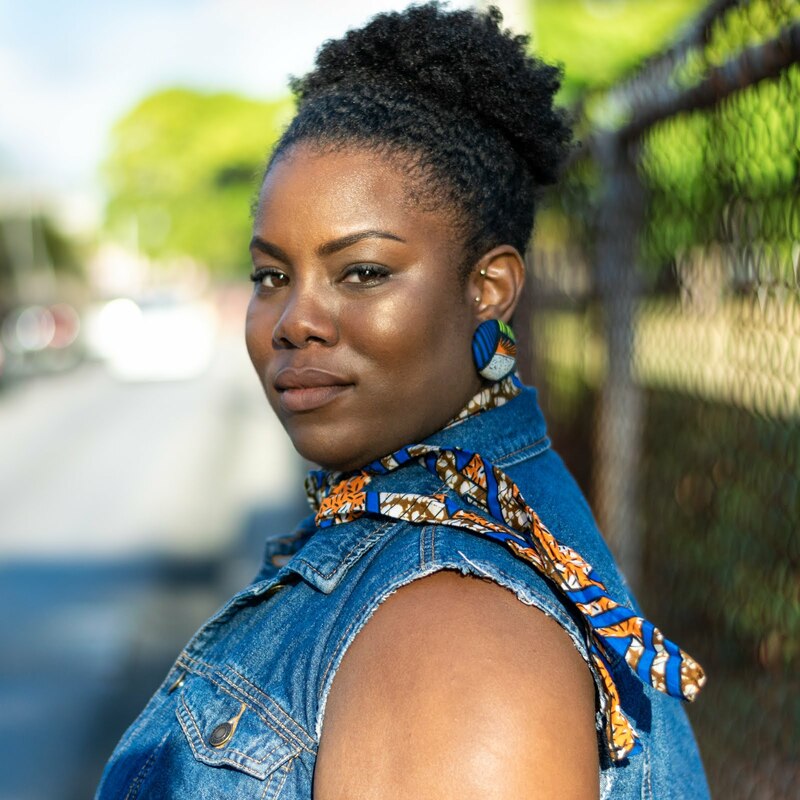 A day in the life of Nelly B.
NELLY B - A DAY IN THE LIFE OF A PLUS SIZED NATURALISTA. Powered by Blogger.